Since moving to the Seattle area in early 2013, we’ve been doing our best as a family to tromp our way through the lush, scenic trails around us, guided by a helpful little orange book entitled “Best Hikes with Kids: Western Washington & the Cascades“. At first, my gentle suggestion (read: stubborn insistence) to hit the trails was met with some light resistance (read: outright mutiny) from my two iPad-wielding boys, but not so much any more, I’m happy to say. Being a data guy, I wanted to track our every step through the Pacific Northwest, so I downloaded an app for my iPhone called Backpacker GPS Trails Pro. It’s great – it tracks our coordinates and lets us capture photos or video along the way, among other things. The default dashboard on TrimbleOutdoors.com is nice and all, but, well – I told you I was a data guy – I wanted to make my own. First, I’ll show you what I made to track our treks, and then I’ll show you how I managed to go from GPS to viz in 7 steps. 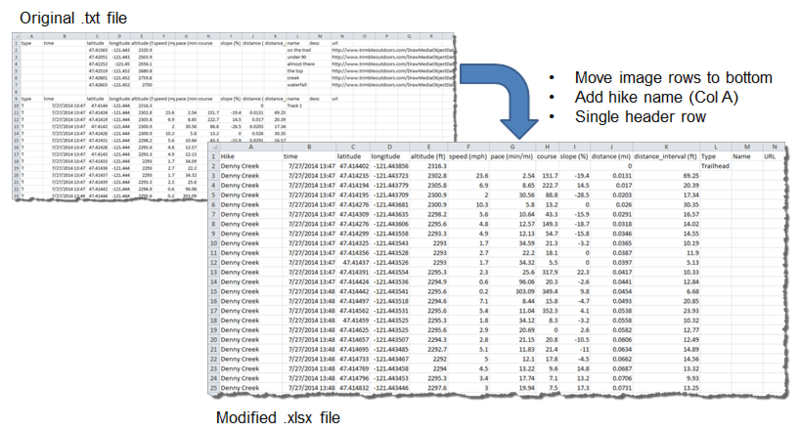 Open Tableau Desktop (or Tableau Public), and click “Connect to Data”, select Microsoft Excel, navigate to your hike spreadsheet, drag the sheet into the middle area, and then click “Go to Worksheet”. 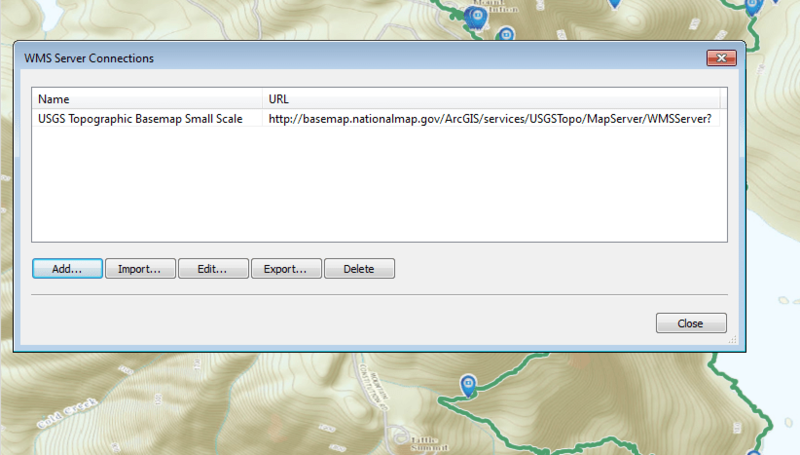 A Custom WMS (only works with Tableau Desktop) from USGS – US Topographic Basemap. Click Map > Background Maps > WMS Server, and enter: http://basemap.nationalmap.gov/ArcGIS/services/USGSTopo/MapServer/WMSServer? Can’t get much easier. 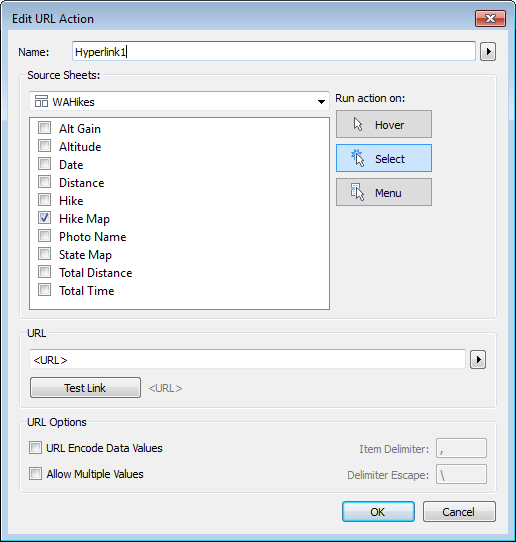 Click Server > Tableau Public > Save to Web as… (or in Tableau Public, File > Save to Web as) and copy and paste the embed code into your CMS. This was a fun personal project that I made for my boys, so I took some extra steps to add design elements to the dashboard. I was shooting for a hand-made / trail map / scrap book feel, hence the hand-written font instructions, compass image, photo corner tacks, tally mark image, etc. The mountain shape cut-away at the top of the viz is actually from a photo of the Olympics here in Washington, so I tried to stay true to the territory with each design element. Let me know if you make good use of this tutorial, and if you have any other questions about how I made it. Thanks for stopping by, and happy trails! 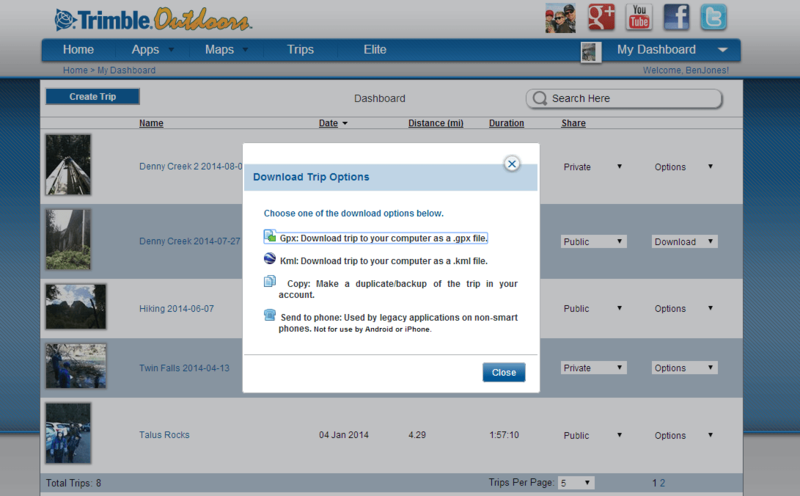 I like how you have the ability to add photos to the dashboard! Very cool, Timothy. 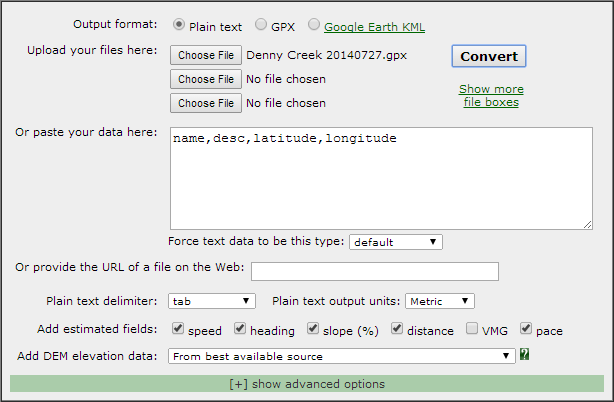 Are you also converting GPX to text the same way as me, or are you doing something different to get the data into Tableau? I’m assuming your process is similar? Super cool viz! I have thought about doing something of this sort with the data that I collect with Strava but haven’t looked into pulling out the data yet. Super cool! Any reason this wouldn’t work for boats in the middle of the ocean? Hi Krystle, thanks, and yes, I believe you could do something very similar for boats in the ocean. All you need are lat/long coordinates and an image URL for each pair. Also reach out to Andrew Cheung (@AndrewCheung88) at Tableau as he is both an avid sailor and a viz builder and might have some ideas for you.